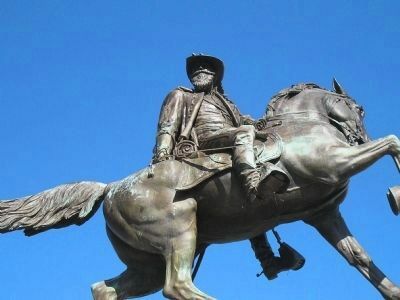 He gave his life for his country and saved this city from capture. 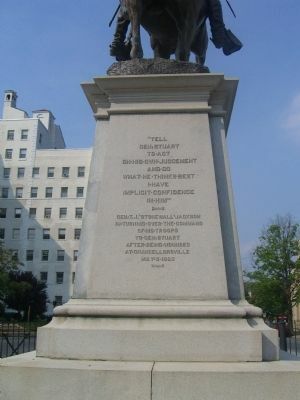 Erected 1907 by his comrades and the City of Richmond. Location. 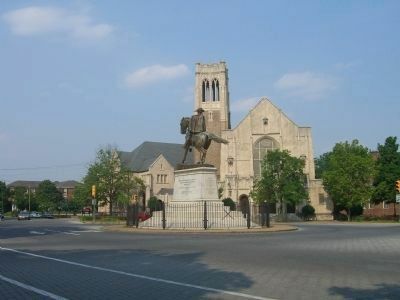 37° 33.148′ N, 77° 27.474′ W. Marker is in Richmond, Virginia. 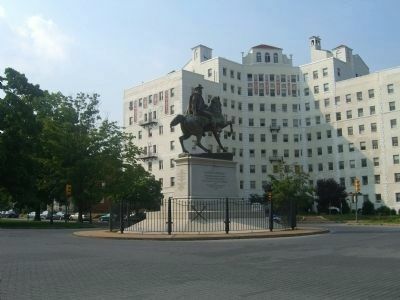 Marker is at the intersection of Stuart Circle and Monument Avenue and N. Lombardy Street, in the median on Stuart Circle. Touch for map. Marker is in this post office area: Richmond VA 23220, United States of America. Touch for directions. Other nearby markers. At least 8 other markers are within walking distance of this marker. Site of Richmond College (about 500 feet away, measured in a direct line); Lee (approx. 0.2 miles away); First Regiment of Virginia Infantry (approx. 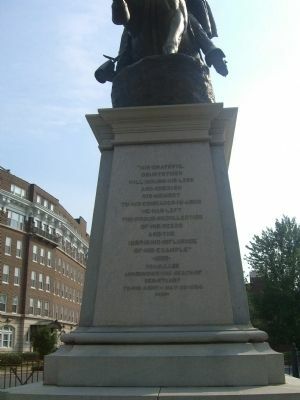 ¼ mile away); The Equal Suffrage League of Virginia (approx. 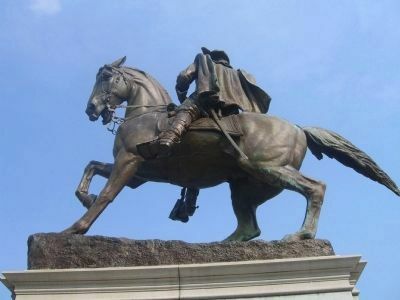 0.3 miles away); Richmond Howitzers Monument (approx. 0.3 miles away); Hartshorn Memorial College (approx. 0.4 miles away); Maggie Lena Walker (approx. 0.4 miles away); Monroe Park (approx. half a mile away). 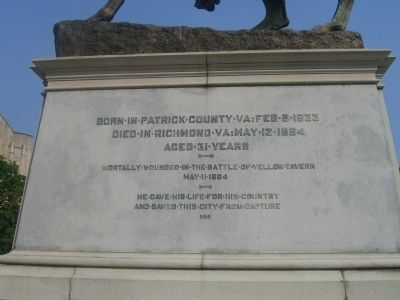 Touch for a list and map of all markers in Richmond. More about this marker. 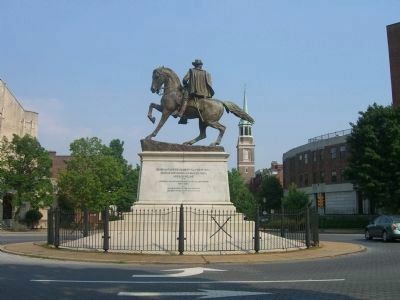 The Stuart monument is the gateway to Monument Avenue, as Franklin Street becomes Monument Avenue here at Lombardy Street. 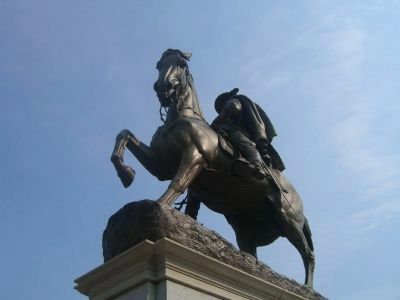 right front foot is raised and Stuart is turned in the saddle facing east. 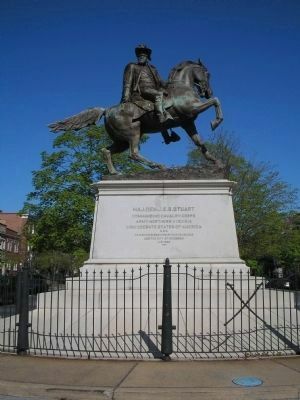 The monument to Maj. Gen. J. E. B. Stuart is found on Richmond's Monument Avenue. More. 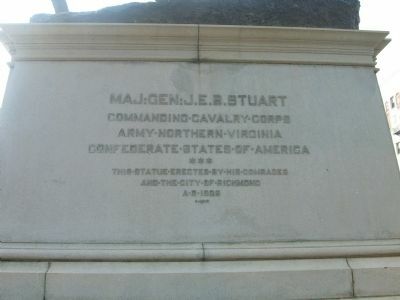 Search the internet for Maj. Gen. J. E. B. Stuart. Credits. This page was last revised on June 16, 2016. This page originally submitted on July 14, 2008, by Kevin W. of Stafford, Virginia. This page has been viewed 2,110 times since then and 25 times this year. Photos: 1, 2, 3, 4, 5, 6, 7, 8, 9. submitted on July 14, 2008, by Kevin W. of Stafford, Virginia. 10, 11. submitted on June 9, 2009, by Bill Coughlin of North Arlington, New Jersey. • Craig Swain was the editor who published this page.